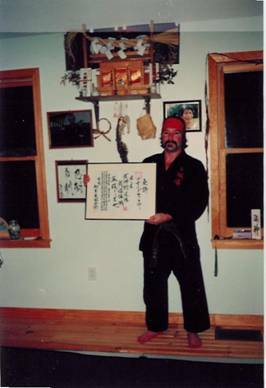 Shihan Drucker has been studying Martial Arts since 1964. His Judo Black belt was received in 1970 by his instructor and Legendary Judo Master Professor Takahiko Ishikawa. His 50 plus years of experience includes training in Judo, Northern Shaolin Kung Fu, and Yang Style Tai Chi Chuan, as well as Myofu-An Bujutsu. He is a third generation Licensed Massage Therapist and Holistic Health Practiciner. He is a student of Anma Master Shogu Mochizuchi, continually refining his skill in the Traditional Art of Japanese Massage. Mr. Drucker has studied Yang Style Tai Chi Chuan since 1975 and is considered a Master Teacher of Tai Chi Chuan. Shidoshi Drucker has been licensed to teach Myofu-An Bujutsu. Shidoshi Drucker is one of only a handful of Martial Artists that are considered Deshi or personal students of Master Koryu Muramatsu and member in good standing of The Kobujutsu Kenkyu Kai of Myofu An Society Japan. This broad background in a variety of Martial Arts combined with a critical eye toward the practical applications of Martial Arts techniques in real world situations ensure the students at Myofu Dojo something that many promise but cannot produce, high quality training in authentic Bujutsu and Yang Style Tai Chi Chuan.